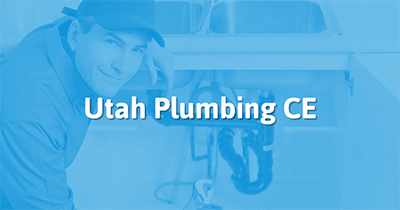 This 4-hour course is a concise review of the newest updates to the IPC code, as adopted by the state of Utah. In the course, we’ll, review Chapters 1 through 9, spending time on the changes to the regulations, and how they’ll affect you in your work. These chapters address rules and regulations in the areas of definitions, general administration, materials, and methods. We’ll address the minimum number of required plumbing fixtures, and the exceptions to that rule. Other standards we’ll cover are drain valve sizes, temperature ratings for drainage piping, combined sanitary and storm public sewers, and new exceptions for solvent cementing, as well as cleanouts for drainage and waste systems. Good information and I enjoyed a mixture of video and reading. Again it is always a great refresher to review code and reinforce why we hold the highest standards in our installation practices . It's good to see the ammendments that are not in the printed code book. Great information on the recent code change. The added descriptions really helped!